Now with one quarter of 2018 in the books, Black Book and Fitch Ratings released their latest joint vehicle depreciation report. Along with three other major findings, Black Book forecasted an annual depreciation rate of 17 percent in 2018 as the supply of used cars and trucks increases, up from a lower-than-expected 13.2 percent experienced in 2017 due to strong sales activity stemming from hurricanes last fall. • New light vehicles sales volume decreased by 2 percent in 2017 to 17.14 million, below the record of 17.46 million in 2016. • Light trucks, including SUVs, crossovers and pickups, continue to increase in U.S. new sales, constituting 65 percent of the volume compared to 57 percent in 2016 and 55 percent in 2015. • Incentive spending by auto manufacturers grew year-over-year in 2017, ending the year at nearly $4,000 in average incentive amount on new vehicles. In 2017, Black Book determined the prestige luxury car segment had the highest annual depreciation at 23.4 percent. On the other hand, editors noticed full-size pickups retained their value well throughout the year as demand of used pickups remained high, ending the year with only 5.1 percent in depreciation. Black Book found that full-size crossover/SUV, the largest of the SUVs, had the strongest retention with a depreciation rate of 9.4 percent. Their values held up well with nearly zero depreciation in the first two quarters of the year. Editors pointed out that sub-compact cars, the smallest of sedans, experienced the highest depreciation rate among non-luxury car segments at 17.6 percent in 2017. On the other hand, the next level up in sedans, compact cars, performed much better than in previous years. Among the crossover/ SUVs, the smallest of the luxury crossovers, sub-compact luxury CUVs depreciated the most at 19.2 percent, according to Black Book’s analysis. In January of this year, editors calculated that a 2015 model year vehicle on average was valued at 51 percent in the wholesale arena as a percentage of typically-equipped MSRP. This three-year retention has dropped from 52 percent in January 2017, which at that time was for a 2014 model year vehicle. Black Book residual value forecasts show that values of 2018 model year vehicles in January 2021 are expected to be three percentage points lower than the current retention trends averaged across all vehicle models. At the specific vehicle segment, brand and individual vehicle level, residual values offer a different look, according to Black Book. When economic conditions and expectations are factored into Black Book’s scenario-based residuals modeling, the trend shows a steeper drop in residual values when considering an economic downturn scenario. The company also expects to see a slight pullback in lease penetration, as rising interest rates, declining residuals, tighter credit criteria and rising availability of off-lease used vehicle options make leasing more expensive for auto manufacturers and their captive finance companies. “We expect vehicle depreciation to increase and residual values to decline in 2018 as used vehicle supplies increase while overall demand stabilizes,” said Anil Goyal, executive vice president of operations at Black Book. “Consumer demand at the vehicle segment level may see more volatility, and as such lenders should analyze and measure portfolio equity on a regular basis to assess risk within their portfolios,” Goyal continued. Fitch’s prime asset performance is projected to continue normalizing but remain well within recessionary levels. Analysts indicated prime annualized net losses (ANL) will get closer to the 1-percent range in 2018. Loss severity is a focus in 2018 as high used vehicle supply and reduced used-vehicle demand will constrain recoveries. Fitch explained that extended-term contracts (lasting longer than 60 months), which comprise a large majority of all prime and subprime ABS pools securitized, remain a key risk next year, particularly if early defaults increase on these riskier loans and drive the pace of losses higher. Fitch added subprime asset performance will be pressured in 2018 at or near prior recessionary levels, with the weakest performance attributed to the smaller and less seasoned finance companies, whom ABS platforms Fitch does not rate. 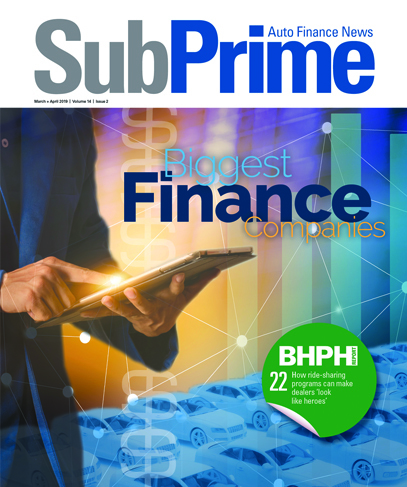 Analysts went on to mention the risk to subprime finance companies may accelerate as auto sales decline and competition ramps up, forcing them to further loosen credit standards to gain or hold market share. Overall, Fitch expects severity to remain as the main factor impacting ABS performance, especially as more used supply puts pressure on recovery rates in auto ABS pools during 2018. “Despite a relatively stable outlook for auto lease ABS asset performance in 2018, it is evident that increasing lease returns in 2018 will place more pressure on residual performance throughout the year,” said Hylton Heard, senior director at Fitch Ratings. The Black Book-Fitch vehicle depreciation report is available here.